Where to sleep in Zagreb? The best way to explore Zagreb is to give yourself time. Stay for a few nights and have fun exploring the sights, tasting amazing dishes, hiking Medvednica mountain or going out in some of the clubs. If “where to sleep in Zagreb” is one of the questions that is going through your mind, don’t worry no more. Zagreb can offer you from exclusive accommodation in 5 star hotels, excellent private apartments to low budget hotels or rooms. We didn’t list all hotels and hostels in the centre, this is more to give you suggestions and to see what are you options. Set in the vivid Tkalčićeva Street, Hotel Academia offers accommodation in the centre of Zagreb. It’s located 700 m from central Ban Jelačić Square. Garage parking is available on site at and free WiFi access is provided. All rooms are air-conditioned and have a flat-screen TV and a minibar. They have private bathrooms with free toiletries. Great spot for starting to explore Zagreb from Upper town. Located in the very heart of Zagreb, practically on Zagreb’s main square, Hotel Dubrovnik has a tradition dating back to 1929. It offers renovated rooms and suites with classical decor and modern amenities, business centre, gym, bar, restaurant and free Wi-Fi are available. Hotel is surrounded by all major touristic sights, parks and promenades with numerous bars and restaurants. Very near guests can find the Cathedral, the picturesque Dolac open-air market and the main shopping area on Ilica Street. Objavljuje Palace Hotel Zagreb u Srijeda, 23. siječnja 2019. A superb location in the centre of Zagreb, the traditional Art Nouveau Palace Hotel Zagreb offers warm, familiar atmosphere, excellent services and highly skilled staff. Overlooking one of Zagreb’s most beautiful parks, the hotel is only a 5-minute walk from Jelačić Square and the historical core of the city. Donji Grad is a great choice for travellers interested in architecture, old town exploring and museums. Located in Vodnikova Street in Zagreb’s centre, Garden Hotel offers an à-la-carte restaurant and coffee bar with a terrace, free Wi-Fi and modernly furnished rooms. Various museums and galleries, as well as the Botanical Garden can be reached in just 200 m.
Situated between the main pedestrian street and Zagreb’s old town close to Ban Jelacic Square. Founded in 1827, Hotel Jagerhorn is the city’s oldest standing hotel. Guests can enjoy a quiet drink by the fountain, or enjoy the town view from the summer terrace. 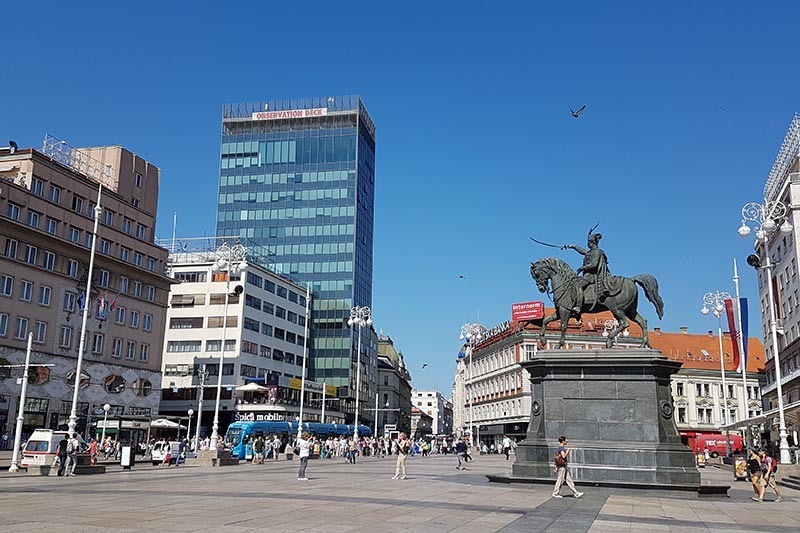 Ban Jelačić Square is just a 3-minute walk away. Location of the hotel is in Zagreb’s business centre, in Miramarska street. Hotel International is within walking distance to the old town. You can enjoy the modern lounge bar, taste delicious local specialities in the restaurant and relax after a long day of sight-seeing. Objavljuje chillout hostel zagreb u Četvrtak, 20. srpnja 2017. Chillout Hostel Zagreb is considered one of the most famous hostels in Europe. If you’re looking to find cheap accommodation close to the main street of Zagreb (Ilica street) look no further. A 24-hour bar with affordable drinks. International guests staying there all year long, you’re guaranteed to find new friends from faraway places. Located on Zagreb’s main street this former factory has been transformed into a visitors dream, offering every facility imaginable, with a gorgeous sun terraces, swimming pool and garden outside the windows of the bar offering the ideal surroundings to unwind after a day spent exploring the city. Located right in the heart of the city, inside historic Tkalciceva Street, where all the action is going on. Rooms are new and spacious for a good night sleep, and they offer numerous facilities like free Wi-Fi, a full bar, 24 hour reception, luggage storage, etc. Wake up to the smell of freshly ground coffee in the morning or enjoy cold beers in the bar or the terrace by the evening. Zagreb Soul Hostel is a brand new, modern and comfortable hostel. Located in one of the most beautiful parts of Zagreb, at exactly half way between the famous Zagreb’s Maksimir Park and the main square. Well connected with city transport, and close to several good restaurants and pizzerias. Every room is equipped with lockable safety boxes. Since the hostel is located in a nice and quiet area, a good night’s sleep is guaranteed. 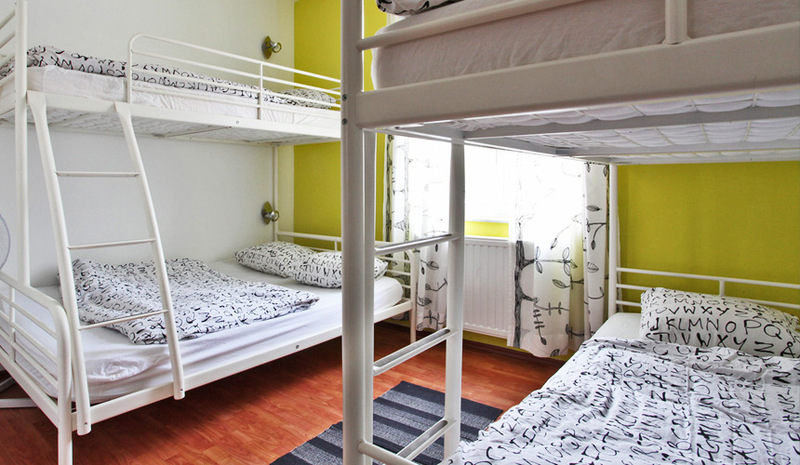 Well established, tastefully decorated, Maju Jaya Hostel is located in newly developed business and entertainment area of Zagreb with easy and quick connection to city center, near proximity to bus and train station and just 20 minutes drive from airport. Rooms are spacious, warm and air conditioned with good sound isolation. Very comfortable beds will make your rest good. You can also use the small kitchen to start their day preparing a good breakfast or snack. In Zagreb there’s also a really huge choice of private accomodation. Private apartments and rooms whoose owners have done a good job decorating them so they seem like little hotels! Some of them are bed & breakfast, with lots of them you can arrange leaving your luggage before/after check in/out and get some useful tips from hosts on Zagreb city, because it’s their hometown, so it’s a little bit different approach to guests, like real home atmosphere! You can find them on Airbnb and Booking.com. Also, check out Irundo Holiday Apartment Rentals. Their apartments are located right in the heart of the city and close to all the essential local features. Make sure you visit our page Running in Zagreb where we have gathered the most important information when coming to Zagreb. Get inspired on what to do in Zagreb? What to See in Zagreb? Where to eat in Zagreb? Previous Post Where to eat in Zagreb? Next Post What to See in Zagreb?